Mandy van der Walt* was up to her neck in debt. She owed over R130 000 for her mortgage, car and a number of credit accounts. She didn’t even have enough money to buy food after all her debt repayments were made every month. That was when she decided it was time to seek help. In 2011, Mandy applied for debt review and counselling. She wanted to have her debt restructured in a more manageable way so that she could find her way back to financial sustainability. “Debt counselling is a legal process whereby you apply to have your debt restructured so that you can pay household expenses and still be able to pay off debt at a reduced instalment at the end of the month,” says Nobantu Motsweni, debt counsellor at Legal & Tax. 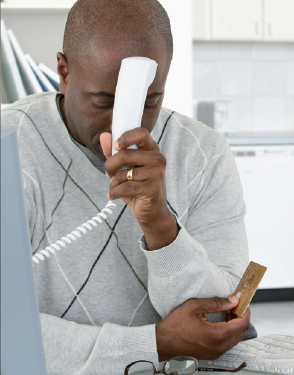 Almost half of South Africa’s 20 million credit-active consumers are struggling to meet their debt repayments, according to the National Credit Regulator (NCR). This means half of consumers with access to credit have payments that are in arrears by three or more months, are slow payers or have a debt judgment or an administration order granted against them. 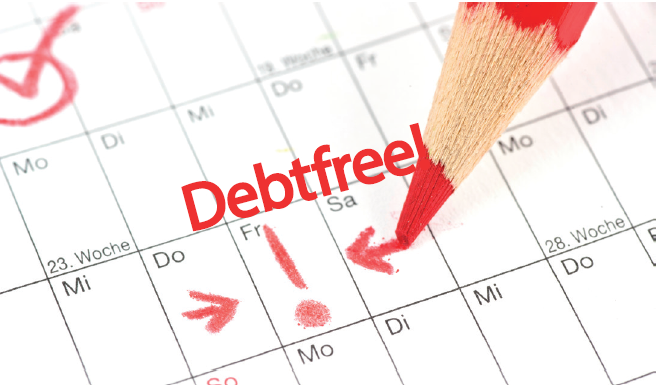 If you are caught in a debt trap, debt counselling might be the right way for you to escape and make a fresh start with your finances, says Motsweni. But she recommends that you exhaust all other options first as it is a lengthy process and there are costs involved. If some of your creditors have taken legal action for late or non-payment of your accounts, those debts cannot be included under the debt counselling processes. “For that reason, you should apply for debt counselling before debtors take legal action against you,” Motsweni advises. You also need to brace yourself for the costs involved – an application fee of R50, a rejection fee of R300, a restructuring fee which cannot exceed R6 000, a R750 legal fee for a consent order and an after-care fee of 5% of your monthly instalment of the debt rearrangement plan. This is paid to your debt counsellor and cannot exceed R400 per month, payable for 24 months. After this, you’ll pay 3% of the monthly installment until your debt is repaid. It’s important to remember that debt counselling is not a “payment holiday”. You still need to keep repaying your debts every month, although now it will be consolidated as one payment to the National Payment Distribution Agency. You must ensure that you never miss a payment as this will nullify the debt counsellor’s arrangements and enable your creditors to take legal action against you. Part of the reason why Mandy’s story has a happy ending is that she was committed to the process. Through debt counselling, she was able to reduce her total payment to her creditors each month from R8 041 to R5 667. By December 2012, just one year later, she had paid off 50% of her debt. How indebted are SA consumers? Debt levels among consumers remain stubbornly high, despite a low interest rate environment. According to the NCR, almost half of South Africa’s 20 million credit-active consumers are struggling to meet their debt repayments. The number of consumers with impaired records – accounts that have not been paid for three months or more – increased by 71 000 in the third quarter last year to 9.76 million from 9.69 million in the previous quarter. The household debt to disposable income ratio in South Africa is 75%, according to the Reserve Bank.